Ringling Bros. and Barnum & Bailey Circus will shut down in May after 146 years in operation, the company that runs the show said late Saturday. Feld, whose family acquired the Ringling Bros. in 1967, said closing the circus was a difficult decision. 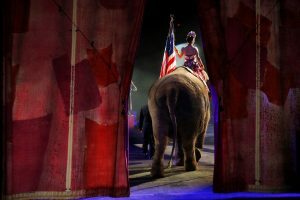 Last year, the Ringling Bros. ended the use of elephants in its performances after animal rights’ groups and others campaigned against the practice, transferring 11 animals to a 200-acre facility in Florida. The Ringling Bros. and Barnum & Bailey Circus will hold its final performances on May 7 in Providence, Rhode Island, and on May 21 in Uniondale, New York.